Successfully Added K1 Fitness Tracker Bracelet - Heart Rate, Pedometer, Distance Tracker, Calorie Counter, Sleep Monitor, IP68, App (Black) to your Shopping Cart. The K1 smart sports bracelet offers a cheap and efficient way for you to keep track of your activity levels. With its pedometer, it allows you to track the daily amount of steps you take and distance you cover. Like this, you can always make sure you’ll meet your necessary activity levels in order to stay fit. The fitness tracker bracelet features a sedentary reminder, so it guarantees you’ll never miss out on a workout session again. It furthermore comes with a calorie counter that shows you how much energy you have burned during previous exercise sessions. This makes it easier to reach your fitness goals. 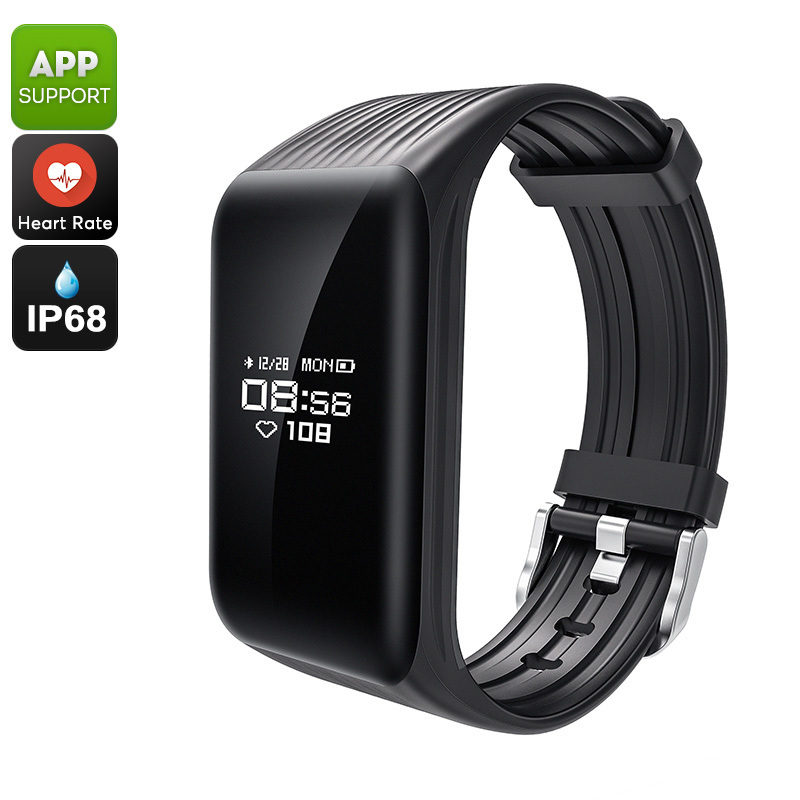 This fitness tracker bracelet can be synchronized with your iOS or Android smartphone. When used with the dedicated mobile application, it treats you to a great platform on which to analyze your data. It furthermore brings call and message reminders straight onto your wrist. This means that you’ll never miss out on an important update from friends or family again. With its Bluetooth 4.0 support, it brings along smooth and lag-free data transfers. The sports watch furthermore comes with a 105mAh battery for 200 hours of usage time. Its IP68 waterproof design makes your watch suitable to be used in any weather condition. If you’re looking for a cheap gadget that will help you to work towards a healthier future, the K1 smart bracelet is the perfect gizmo for you.